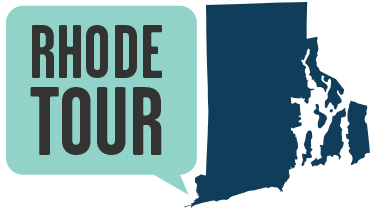 Rhode Island is perhaps inordinately proud of its superlatives and firsts: first to establish religious freedom, first to rebel against the British crown, longest hold-out before ratifying the newly minted Constitution. And, in the 20th century, Rhode Island grabbed the title of longest workers’ strike in the US. Brown and Sharpe, once headquartered here, holds that dubious honor. The strike began in 1981 and lasted through the late 1990s. 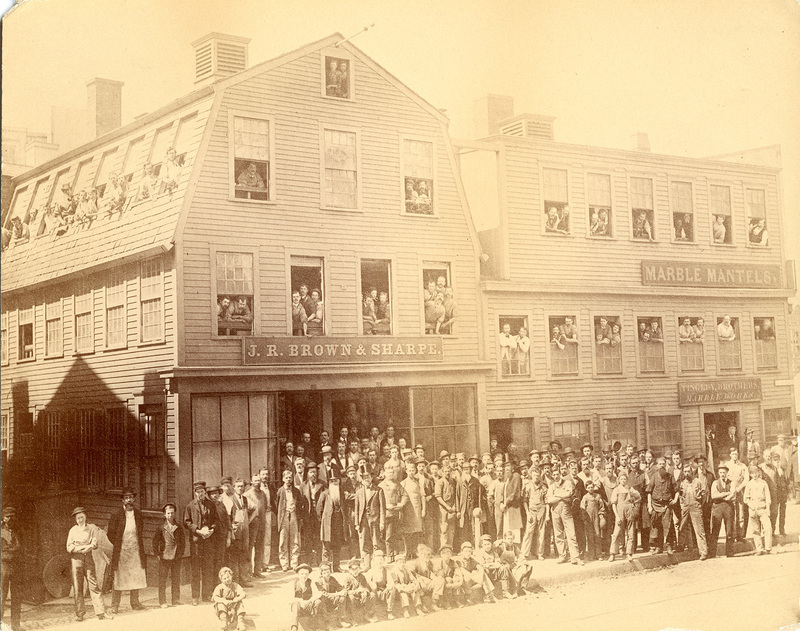 The strike is only one of many significant moments in the storied history of Brown and Sharpe, which began operations in 1833 on South Main Street in Providence. Joseph Brown, clockmaker and mechanical designer joined forces with savvy businessman Lucian Sharpe, and the wildly successful Brown and Sharpe company took off, revolutionizing the machine-tool industry. Manufacturing everything from the Wilcox and Gibbs game-changing sewing machine to the machine that produced Shredded Wheat cereal to the universal grinding machine that created an effortless spin of a car’s wheels, Brown and Sharpe had an immeasurable impact on the daily lives of Americans for two centuries. Gorham Manufacturing Company, which also formerly operated in this area, had an equally transformative influence on Rhode Island and beyond. 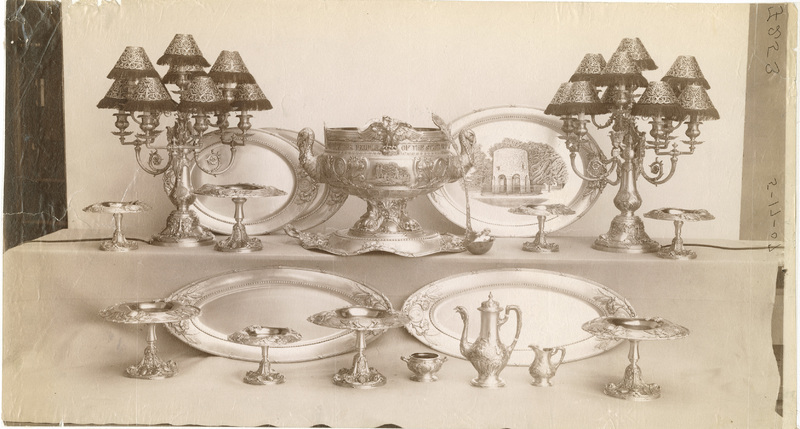 A behemoth in the world of silver manufacturing, Gorham produced high-quality goods, including flatware, dishware, decorative objects, and statues in both silver and bronze, beginning in 1831 and continuing to today. 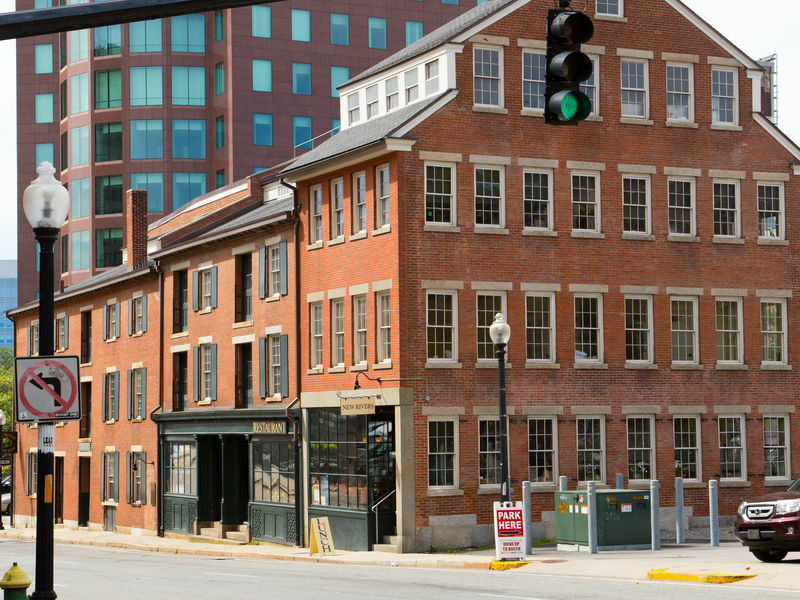 In addition to Brown and Sharpe and Gorham Manufacturing Company, the buildings along Steeple Street are the former homes to other sites of industry and innovation: a jewelry factory and the restaurant Al Forno, which invented wood-grilled pizza. These buildings are testaments to Providence as an early powerhouse of American industry. They preserve the scale and density of buildings in this commercial area before 20th century demolitions created the open spaces of the surrounding parking lots. Steeple Street: This contemporary image of buildings on Steeple Street shows some of the newer restaurants that have taken up residence. On the far right is the restaurant New Rivers, so named for the uncovering of the downtown section of the Providence River after it had been covered over in the 1930s. The restaurant name reflects the realignment of the Woonasquatucket and Moshassuck Rivers to meet the Providence River. New Rivers is now located at the confluence of all three rivers, and is located in the former Al Forno space. Brown & Sharpe: Brown & Sharpe began operations in a building on South Main Street, depicted in this photograph, formerly the shop of David Brown & Son. They later moved to a much larger complex along the Woonasquatucket River. Gorham Silver Service: This silver coffee service set, made by Gorham manufacturing, was presented to the U.S.S. Rhode Island, a Virginia-class battleship. The set consisted of twenty pieces: 5 trays, 8 serving stands, a punch bowl with ladle, 2 candelabras, and a coffeepot with creamer and sugar bowl. There is an even greater connection in Providence between pizza and jewelry-making than the building at 9 Steeple Street would suggest. Beginning in the mid-1800s, Italian immigrants flooded Providence’s port, making their home in the area known as Federal Hill or Providence’s Little Italy. Many of these immigrants seized the rapidly expanding job opportunities in mills and jewelry factories. Check out one of the most stunning pieces crafted by the Gorham Manufacturing Company, which forms part of the Rhode Island School of Design’s permanent collection: a writing desk and chair, which won the grand prize at the 1904 World’s Fair in Saint Louis. Elyssa Tardif, “Early Industry and Wood-Fired Pizza,” Rhode Tour, accessed April 21, 2019, http://rhodetour.org/items/show/183.